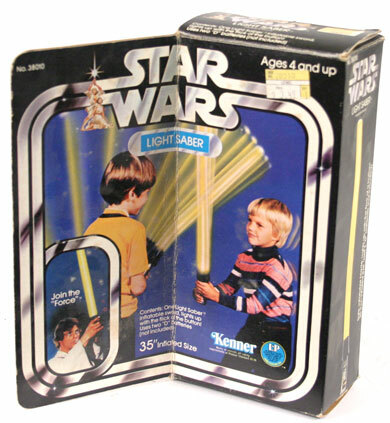 The original Star Wars trilogy was incredibly popular, leading to a massive number and variety of other toys released by Kenner and other toy companies. This page provides information and photos of many, but not all, of them. Enjoy! 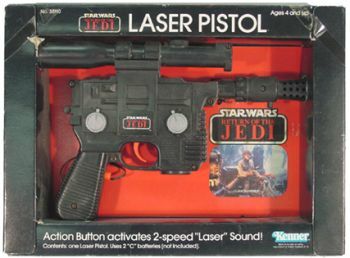 An awesome toy, the 3-position laser rifle had a fold-out stock, a scope and electronic sounds. 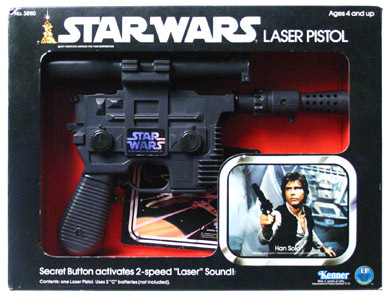 You too could be Han Solo pulling on Greedo (first) with this great replica. Also with electronic sounds! 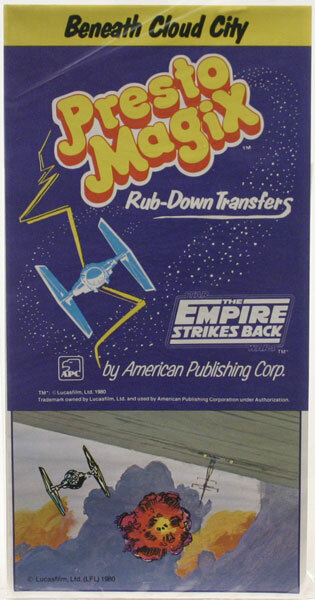 The Return of the Jedi version is a bit different (grey knobs on most and the decal). 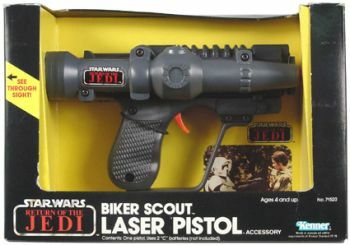 The "dud" of the toy weaponry, the Biker Scout Laser Pistol was not very popular although it does have a nice scope feature. 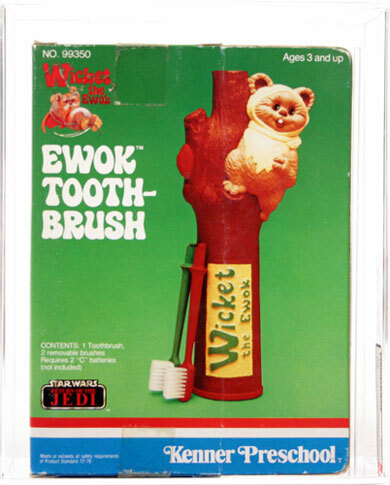 Ah yes, this is a personal favorite and is the first Star Wars toy I remember really loving. 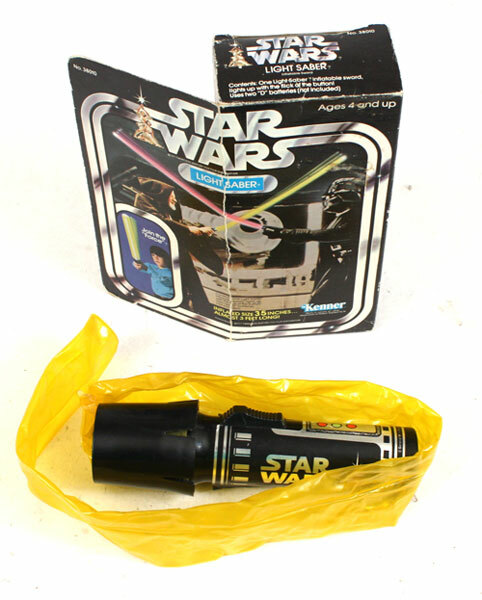 This featured a blow-up lightsaber bag attached to a flashlight and darn it if that simple design didnt work! 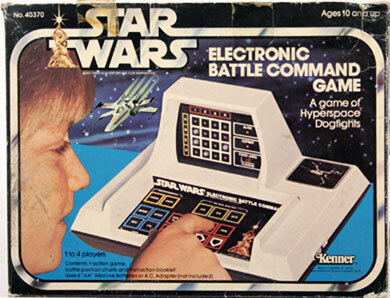 It was a bit fragile (especially when beating really hard on people). 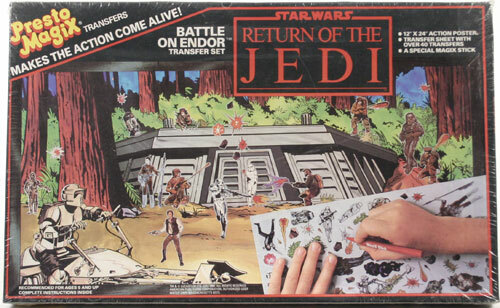 Released in two versions only different by the box art and paperwork inside). 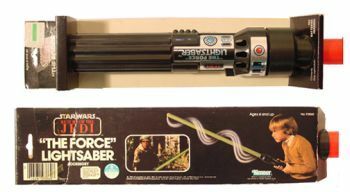 Upgrading (at least to Kenner) from the inflatable sabers came plastic bladed versions that, thanks to some advanced technology (ok, holes) would howl when whipped through the air. 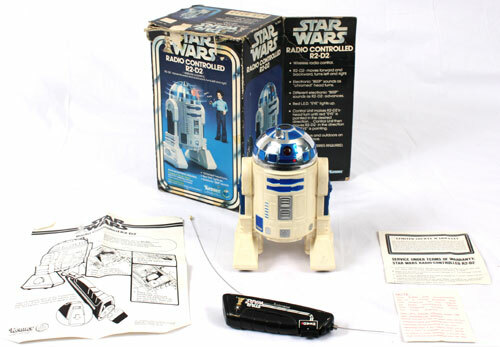 The final vintage upgrade came during the Droids line when push-button release and lights up. The "fail" in this one is that it is really short. 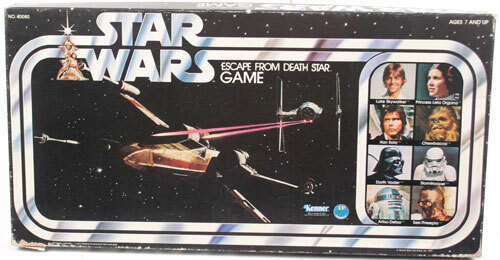 The Escape from the Death Star Game placed you in the dreaded Death Star, rolling dice to escape the grip of Darth Vader! 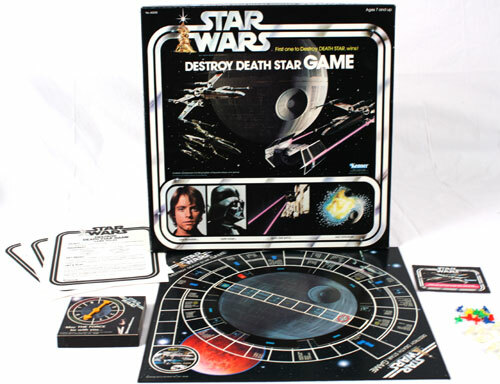 Realizing that it is a bit cowardly to just escape, Kenner then released the more challenging "Destroy the Death Star Game". Take that Empire! 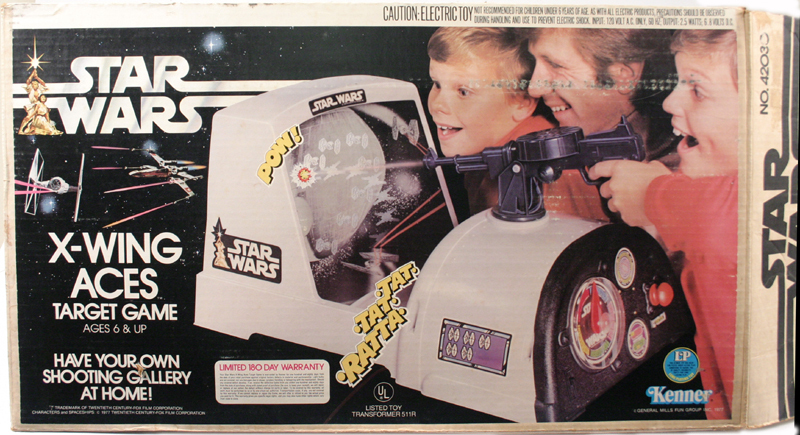 Your own shooting gallery at home! Very hard to find in nice condition. 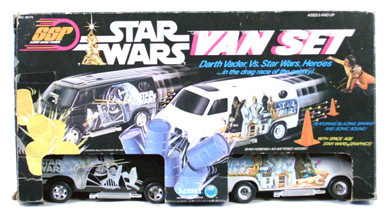 Many people do not know that Lionel released a slot car set themed for Star Wars! 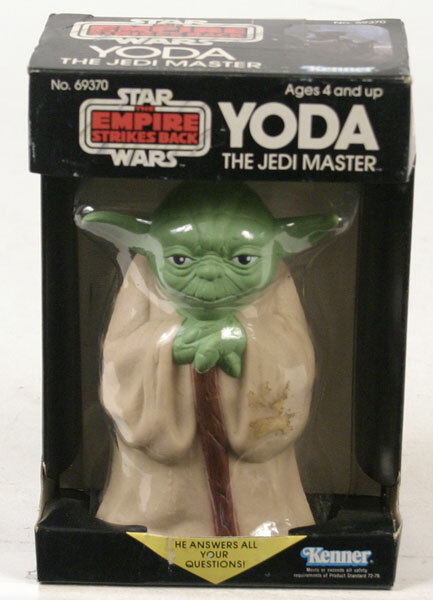 Like the 70s magic 8-ball toys, Yoda would "answer" questions. Foolish you are, yes? 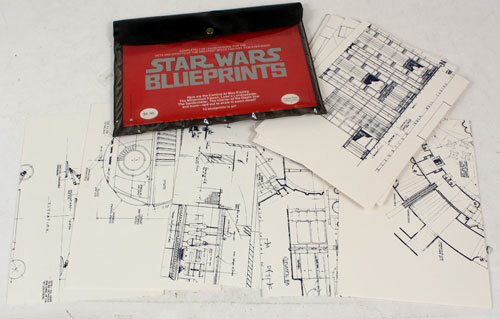 You too could buy really detailed blueprints of original Star Wars vehicles - even the Death Star! You regularly see these priced in the thousands. Sad thing (for them) is that thousands and thousands of these were produced for bookstores and you can find them for $10 without much effort. Well worth it! Ok, yeah. It's not a toy but darn it - so cute! These were awesome. Blow them up and punch away. 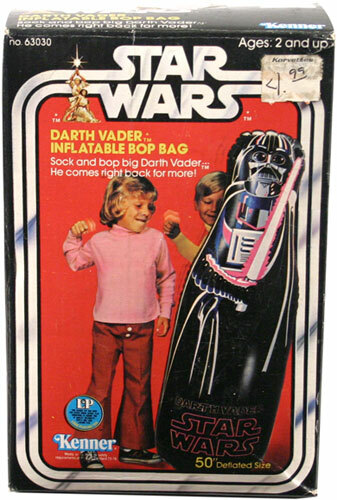 Take that Darth! 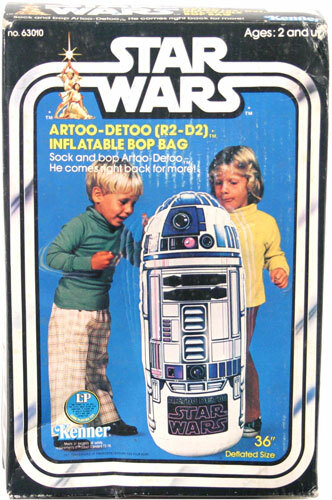 Wait, who would want to punch R2-D2? Awww! 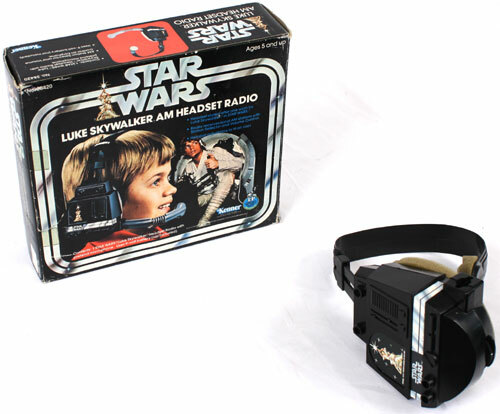 A great way to relive exciting Star Wars action movies! 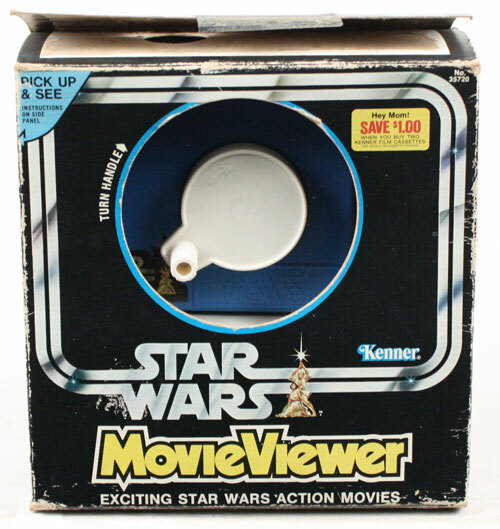 5 different mini "movies" were released - complete with no sound! 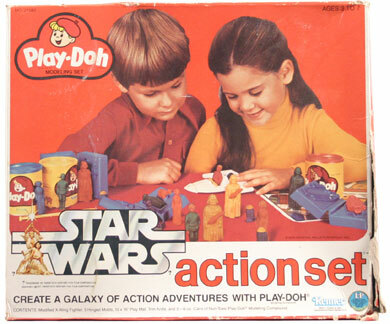 Die-cast toys became popular in the 70s and Kenner pounced - releasing a number of small die-cast toys. More classic awesomeness here. 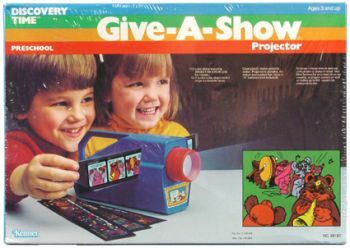 Remember this thing? 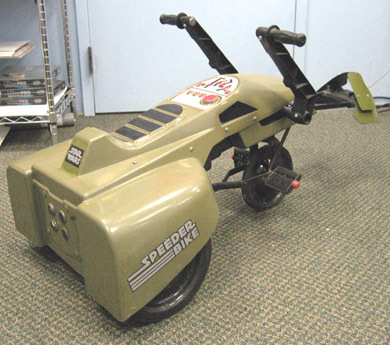 Very rare is the child-sized Speeder Bike. I would have loved to have this thing tooling around my neighborhood.